BUCYRUS — Michael Shaw, 36, of Galion will spend the next five years in prison after pleading guilty to multiple drug-related charges Monday in Crawford County Common Pleas Court. Shaw pleaded guilty to one count of possession of drugs, one count of permitting drug abuse and one count of illegal possession of chemicals to manufacture drugs. 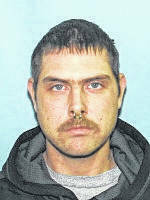 He was arrested during a drug bust in on West Atwood Street in Galion in February. They were accused of making methamphetamines in their apartment. 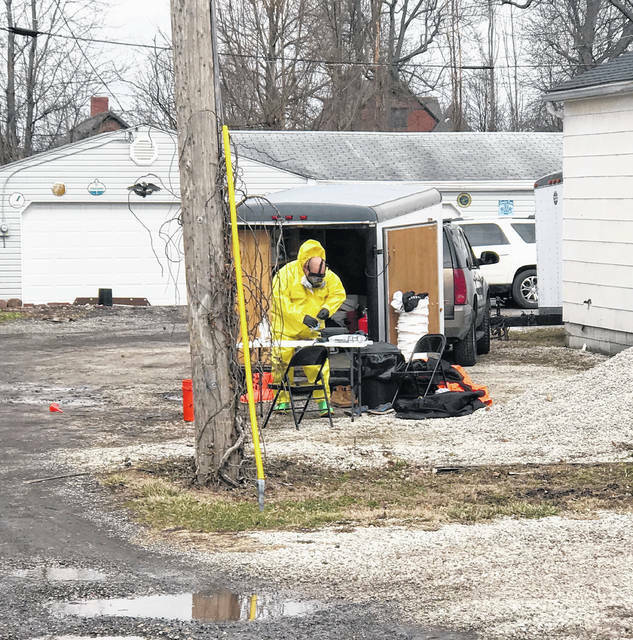 In what Judge Sean Leuthold called a “dangerous situation,” the meth was being cooked above an apartment where four children lived, posing an immediate danger to the neighborhood. Noting that meth is making a comeback all over the country, Leuthold had a warning for Shaw. Shaw told the court he needs to kick his meth addiction once and for all. “That’s the understatement of all time,” Leuthold said. He also was ordered to forfeit all drug related property to the Galion Police Department. Also on Monday, Kristen Johnston, 23, of Crestline, will spend the next four years in prison. She was in court Monday with a new attorney, Sebastian Berger, and accepted a plea deal. She pleaded guilty to assault and aggravated burglary, and was sentenced to four years. According to charges, Johnston was at a party and became drunk and belligerent. She was asked to leave the party, but came back with a hammer and broke into the residence. “Miss Johnston was drunk out of her mind and when she drinks she gets mean and becomes a danger to herself and others. We cannot tolerate this behavior,” Leuthold said. He encouraged Johnston to take advantage of programs available in prison and get her life in order. After some time in prison, Leuthold indicated that if Johnston stayed out of trouble she might eligible for judicial release. Ross Craner, 27, also of Galion appeared in court to answer to a charge of violating his community control. He was represented by attorney Brad Starkey. Assistant Prosecutor Ryan Hoovler called Common Pleas Court Probation Officer Eric Bohach to testify about the violation. Bohach testified that Craner was being supervised after a judicial release. On Feb. 14, Galion Police contacted Bohach, saying they had received a call and found Craner standing in the middle of the road; apparently under the influence of something. A search of Craner revealed K-2 (synthetic marijuana) and Ritalin in pill form in a baggie in his pocket. Bohach administered a test to Craner at the jail and the test came back negative for any drugs. When questioned by Bohach, Craner said he hadn’t had a chance to smoke the K-2. Starkey cross-examined Bohach and asserted that there were no tests done on the K-2. Bohach said he did not know of any tests performed by Galion police. Bohach testified that Craner implied that he was in possession of K-2 because he admitted he hadn’t had a chance to smoke it. Ritalin was identified by Galion police. Starkey contended that the substance in the bag could have been cooking spices and that there was no way to prove otherwise. Leuthold concluded there was not enough evidence to prove that Craner had K-2, so the motion that Craner violated his Community Control on the K-2 was denied. Leuthold determined Craner did have Ritalin, without a prescription, which was a violation. Craner was sentenced to six months in prison for the Ritalin, and the remaining 17 months of his prison sentence was imposed. One misdemeanor charge was dismissed. In a statement to the court, Craner thanked Eric Bohach for helping him. He said he hoped by going back into prison and into recovery he will be able to change his life.